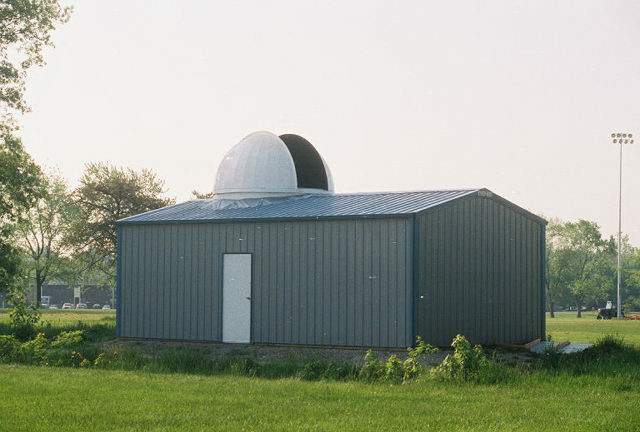 The Eastern Illinois University Observatory was completed in 2004 with funds donated by alumni and friends. This observatory houses a 16-inch Schmidt-Cassegrain telescope that is computer controlled for both positioning and data acquisition. It is located in a dark field on campus which makes it both accessible and useful. The director of the observatory is Dr. Donald Pakey. 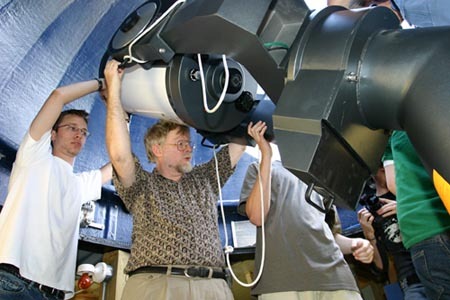 The observatory can be used for classes, research, and community outreach. Open houses are usually held on the last Friday of each month (rainy or clear, hot or cold weather). Click here for a map and directions to the observatory. Open houses are on hold until we finish installing our new solar telescope. Stay tuned for the announcement of our grand re-opening!